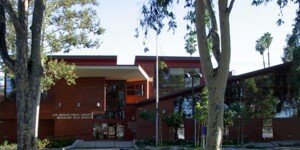 Library details: Woodland Hills Branch Library is a Public library. This library is affiliated with Los Angeles Public Library (view map) . Wireless: The library offers wireless access to the Internet. 802.11b; Laptops must have DHCP enabled.